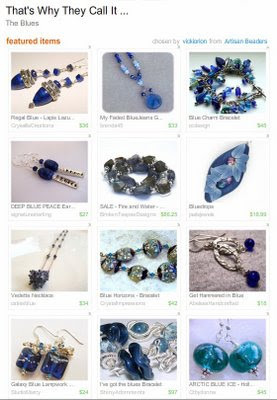 Jael's Art Jewels Blog: Artisan Beaders Treasury: Blues!! Also, go visit the Artisan Beaders Holiday Gift Guide blog!! I love blue too and this is no exception.